Sunew Tyres came into productiuon in 2002. A company based in China with a global presence within the tyre markte. Although a relatively young company they are growing at a steady pace. 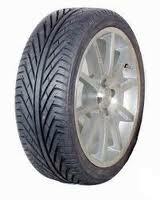 They create tyres for many sectors of the market including Passanger cars, Agricultural and industrial tyres. Its likely that you will see more and more of Sunew tyres as they grow in market share through out the tyre industry. YS618 tyres from Sunew are ultra-high performance options and allow you to get the most out of every vehicle and journey, especially sports cars that often put a lot of stress and pressure on tyres. With incredible levels of wear resistances, these tyres will give you the grip, responsiveness and traction you need to enjoy every journey no matter if the conditions are wet or dry. YS618 tyres are also long-lasting, proving to be exceptional value over their lifespan so they are an obvious choice.